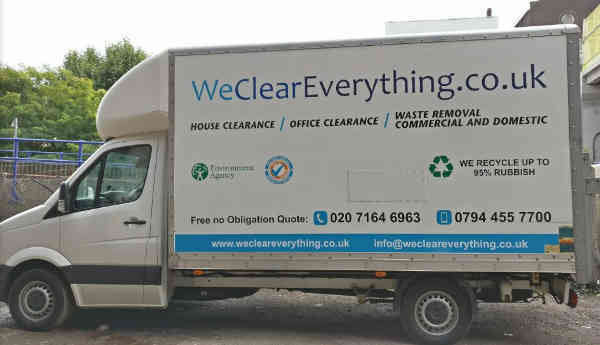 Cheap, quick and eco friendly House Clearance London provided by We Clear Everything team from Hackney. House clearance and office clearance services we provide for private and commercial customers. For our customers we offer house clearance, office clearance, rubbish clearance and furniture disposal service which spans all of London. We are experienced in all types of clearances. 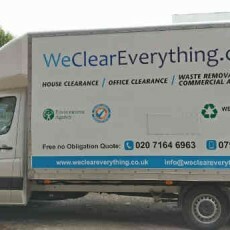 We Clear Everything provide only fully insured house clearance and our staff are fully trained and uniformed. 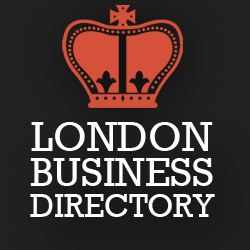 Call us and order house clearance, flat clearance, attic clearance, loft clearance and furniture disposal services in London.